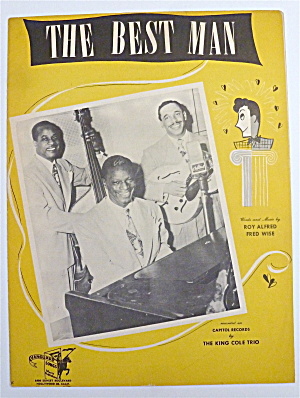 This copyrighted 1946 Vintage Sheet Music entitled The Best Man is in very good condition and appears to be complete. This sheet music measures approx. 9 x 12 and is suitable for framing. The words & the music are by Roy Alfred & Fred Wise. Recorded by The King Cole Trio who is on the front cover.